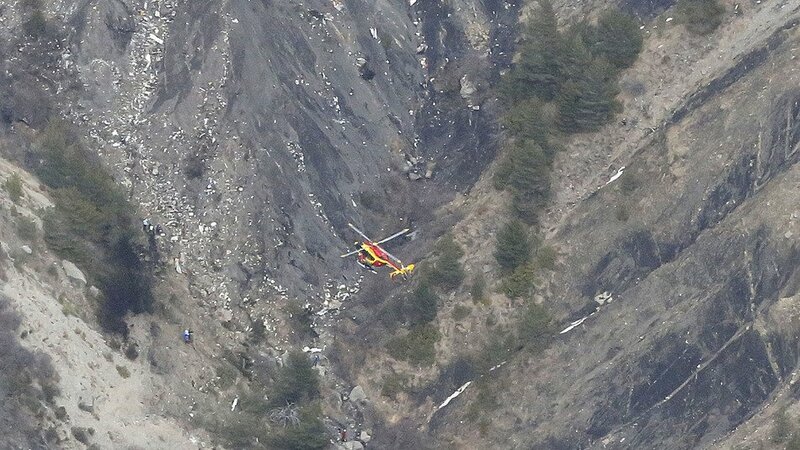 The “black box” flight recorder of Germanwings plane that crashed in the French Alps with 150 people onboard, has been found, the French interior minister says. The Airbus A320 – flight 4U 9525 – went down between Digne and Barcelonnette. There are no survivors, officials say. The German aircraft was on its way from Barcelona to Duesseldorf. The cause of the crash is not known and the plane did not send a distress signal. Among the passengers were 16 German students returning from an exchange trip. Germanwings, a low-cost airline owned by Germany’s main carrier Lufthansa, has an excellent safety record. A recovery team reached the site, in a remote mountain ravine, earlier on Tuesday. Their work was called off in the evening and will resume at first light on Wednesday, the French interior ministry said. Bruce Robin, a prosecutor from Marseille, told the Reuters news agency that he had seen the wreckage of the aircraft from a helicopter. “The body of the plane is in a state of destruction, there is not one intact piece of wing or fuselage,” he said. German Foreign Minister Frank-Walter Steinmeier was also flown over the crash site and described it as “a picture of horror”, the Associated Press news agency says. Most of the dead are believed to be German or Spanish citizens. The plane began descending one minute after it reached its cruising height and continued to lose altitude for eight minutes, Germanwings managing director Thomas Winkelmann told reporters. Thomas Winkelmann said the aircraft lost contact with French air traffic controllers at 10:53 at an altitude of about 6,000 feet. The plane did not send out a distress signal, officials said. Earlier reports of a distress call, quoting the French interior ministry, referred to a message from controllers on the ground. The White House has said there is no evidence so far of a terror attack. A Lufthansa official said they were assuming for the time being that the crash had been caused by an accident. The Airbus A320 is a single-aisle passenger jet popular for short- and medium-haul flights.